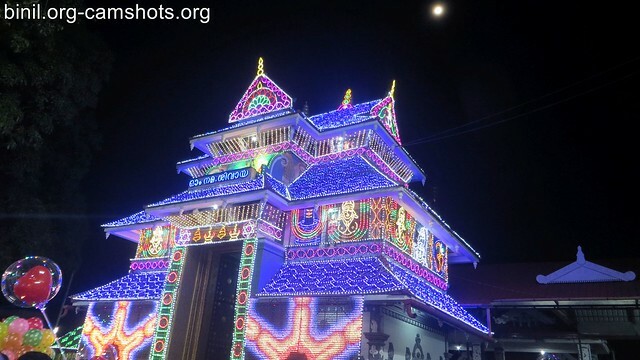 Sree Maheswara Temple, Koorkenchery is situated in Thrissur, Kerala State, South India. Koorkenchery is a southern suburb of Thrissur – around 1 km from Swaraj Round or Vadakkunnathan Temple. The main idol in Sree Maheswara Temple is Lord Shiva which was consecrated by Sree Narayana Guru himself in the Malayalam month of Chingam in the year 1092 (Malayalam year). 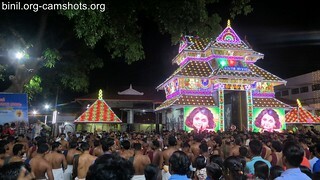 The temple is under the governance of SNDP yogam. 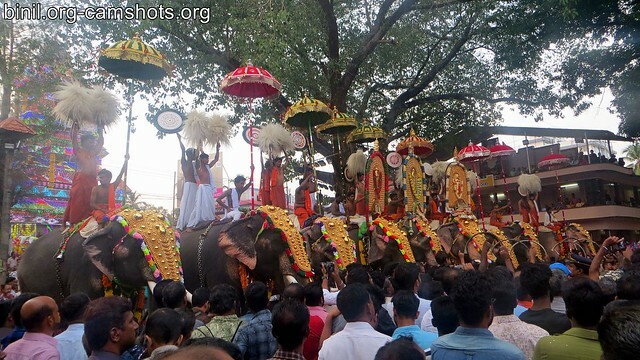 The main festival is Thaipooya Mahotsavam, dedicated to Lord Subramanya (son of Lord Shiva). 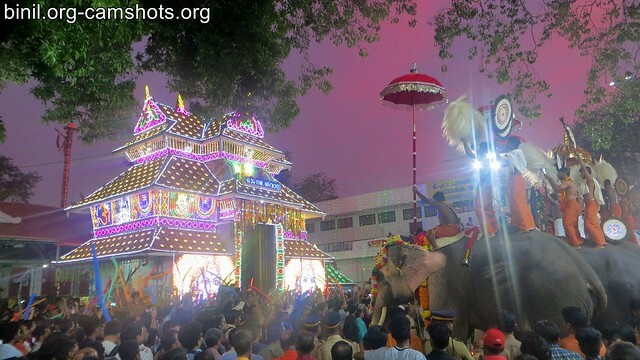 This is a very colorful festival with spectacular Kavadiyattom (with pookkavadi and ambalakkavadi) by different desams – this goes upto noon. 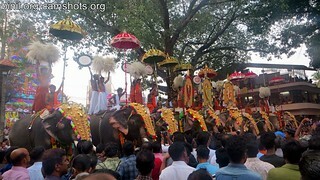 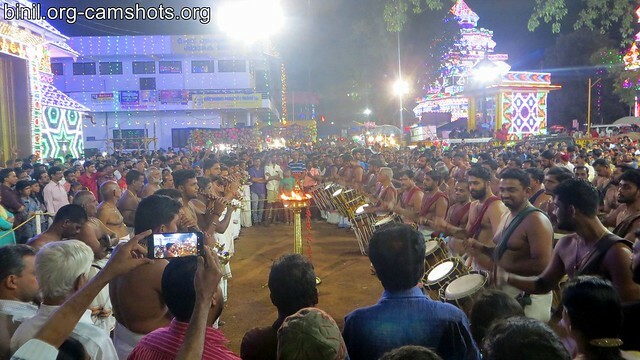 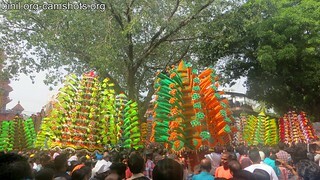 After that there is elephant pooram with melam. The Kavadiyattom will also be there in the night. 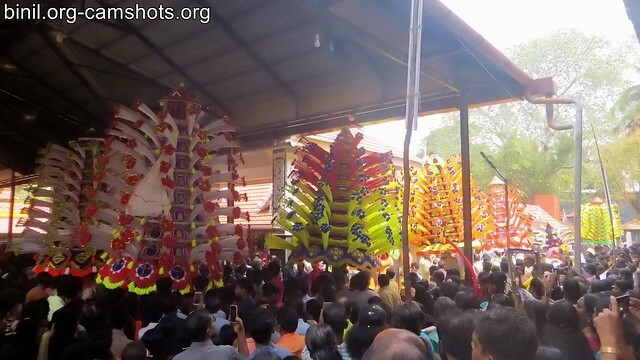 This is a must see festival if you love Kavadi. 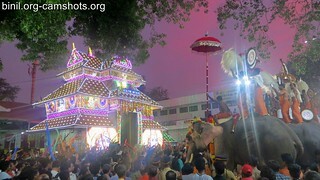 These photos are from the Thaipooyam festival taken on Jan 2019. 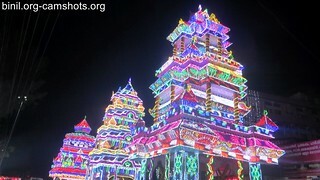 The temple is very easy to reach. 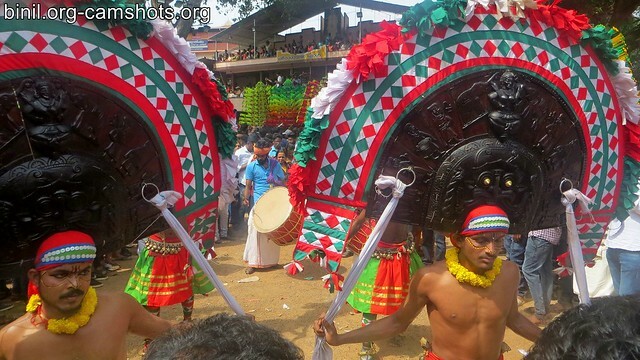 You can catch buses from Sakthan bus stand going via Koorkenchery.